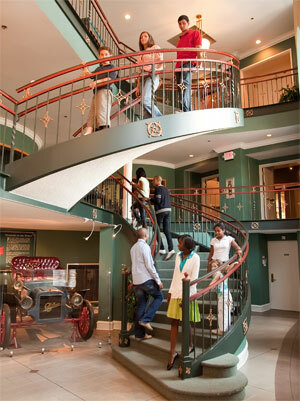 Schedule a Group Tour for your civic organization or a Field Trip for your class at the Greensboro History Museum. Do you want your group of 15 or more to explore history in a deeper way? A free guided tour will help make Greensboro’s history relevant to your crew, whether you’re a Scout group, religious organization, civic club, or family reunion. Find out more about booking a Group Tour. Our free Field Trips are a great resource for educators at every grade level and show your students how history is relevant to their lives. The Field Trips are conducted on Tuesdays through Fridays beginning at 9:30 AM. Find out more about booking a Field Trip for your students. Our Summer Program tour allows children to visit the museum and learn about local history with their daycare, afterschool school program, or summer camp. Summer Program tours are offered in June and July on Tuesdays through Fridays between 10 AM and 3 PM. Find out more about scheduling a Summer Program.